Are you moving – into or out of – your home? Throughout the year we receive many requests and phone calls from realtors as well as homeowner for one time service for residential properties when families are moving. Most moves are done during the summer months for families that have children. This makes great sense because it enables them to find a house, complete their move, and move in in time for the new school year to begin in September. But, regardless of the time of year, dog poop can be a real problem for a new non-dog-owning homeowner! How about the family that moves and finds that their new is property covered with numerous piles of dog waste? A new homeowner has no way of knowing if the former residents dog was free of worms, sickness or disease so it makes perfect sense that they would want their yard cleaned as quickly as possible. 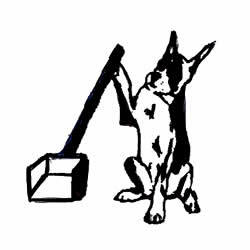 A dog waste clean-up service like Scoops Dog Waste Clean Up Service, Inc. is very well suited to the task because we are professionals who can get the job done efficiently and in a timely manner. Often we find that once settled from a move, many homeowners call upon us again – but – for regular weekly and bi-weekly scooping service when they get their very own four-legged friend! We work year round cleaning up all those calling cards pets leave behind so that you don’t have to! Many of our clients are pleasantly surprised to find out that we provide free written estimates for scooping services and for a spray service that we offer for properties. We use a very effective line of natural products (that means no dangerous chemicals for your family) to control fleas, ticks, mosquitoes and hundreds of other pest bugs while having no effect on the beneficial insects like honey bees. The product we use kills adults, eggs, larvae and pupae of these pest insects on contact (and stops their eggs from hatching), yet is safe for pregnant and nursing moms, children and pets, all while using natural and organic ingredients with NO toxic chemicals – things that we used long before synthetic chemicals became popular (and harmful!) The products is produced solely in the USA (Texas) with no toxic chemicals, artificial colors or fragrances, preservatives, pyrethrins or synthetic pesticides. Scoops accepts payment by phone or on site when the job is completed – either thru personal check, credit card, or Paypal. Waste is double bagged and placed in the client’s trash receptacle so it never has to be handled by the homeowner. I would love the opportunity to answer any questions or inquiries you may have – so feel free to contact me! Where O Where Has The Nice Lawn Gone ? How Do You Hire A Pooper Scooper Service? Who Are You Inviting Into Your Yard?